This is about a man & his wife deeply in love, choosing to live a quality life. Their life together is, The Object of Affection. H & B tied the knot! [05.05.2016] It was the perfect day to get married. The air was crisp and it sprinkled a little that morning. Flowers just started to bloom. And butterflies were in our stomachs. It was a beautiful spring day! 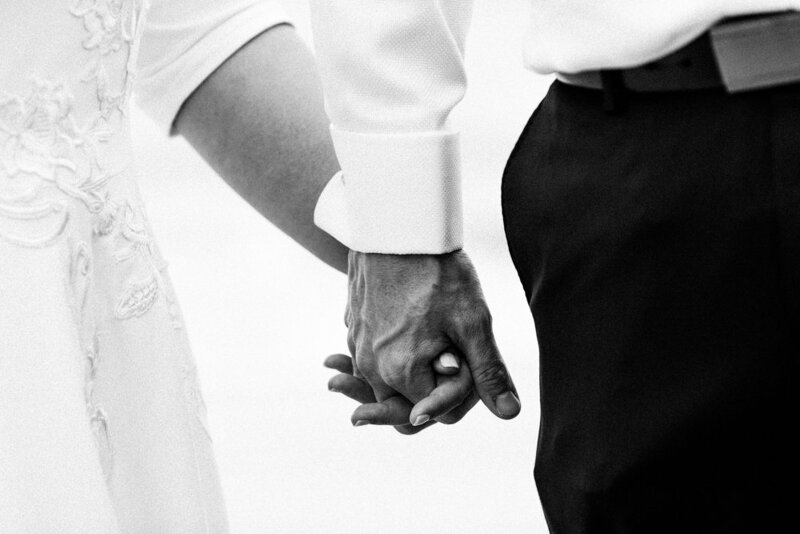 Mr. B held my hand and I gently squeezed his as we walked to the courthouse. I have never felt so excited and nervous at the same time. But when I looked at him, he gave me that smile. He has this smile where the sides of his eyes wrinkle, his eyes glisten, and his dimples deepen. He didn’t even have to say anything; I felt the warmth of his great love for me and assurance that everything will be more than fine. That it will be perfect. 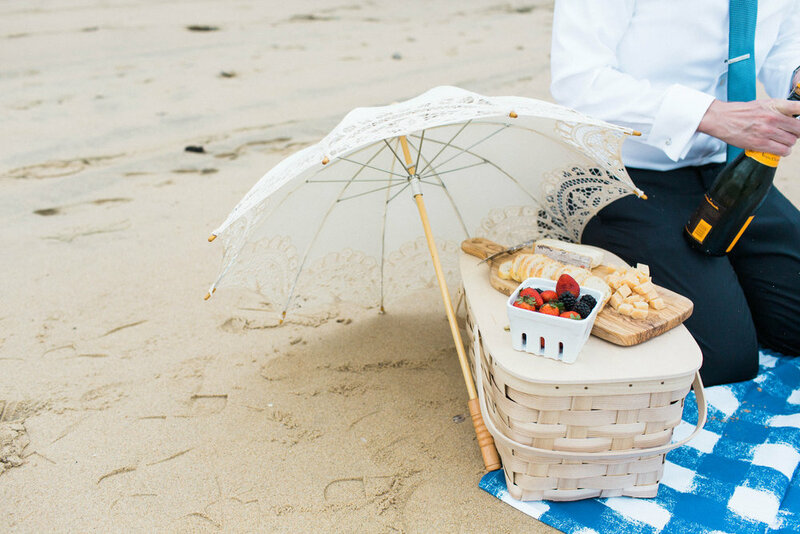 After the official ceremony, we decided to have a picnic at the beach. It was a weekday, so there were no crowds and we had the beach all to ourselves. It was intimate and perfect! All we could hear were the waves, the seagulls, and the sound of our voices and laughter. The ceremony was a bit serious, so when we got to the beach; we finally relaxed and had an amazing time. 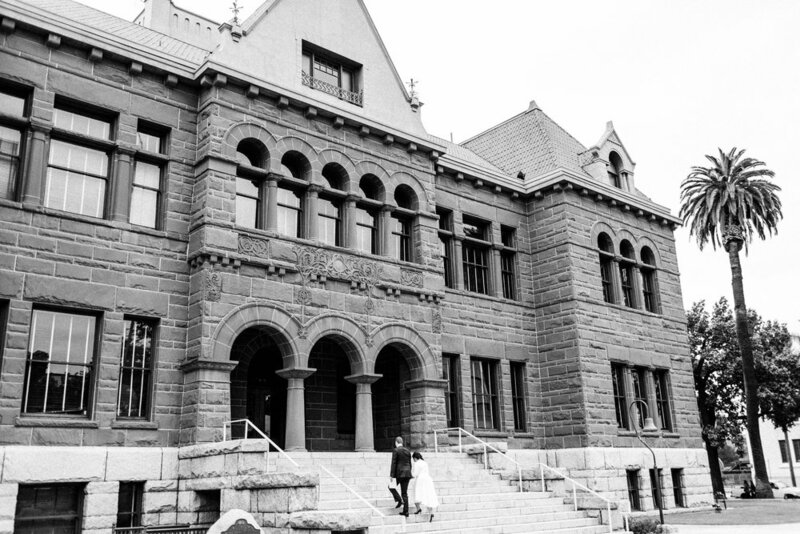 When we decided to elope, we weren’t sure how it was going to turn out. Looking back to that beautiful day, I wouldn’t change it a bit. It was very simple and intimate. It was romantic and fun. It was all about our marriage. It was all about US. It was perfect! We stayed at the beach for a few hours until it got a little chilly from being wet from playing with the waves. So we went home, packed our luggage, and jetsetted our way to Spain & Maldives! Because I've found what the world is searching for, right here - I don't have to look no more. All my days, I hoped & I prayed for someone just like you to make me feel the way you do. "I will you love you, comfort you, honor and keep you, in sickness and in health, for richer, for poorer, for better, for worse, in sadness and in joy, to cherish and continually bestow upon you my heart’s deepest devotion, forsaking all others, keep myself only unto you as long as we both shall live." As I was pulling into our garage, a red Ferrari, a yellow Lamborghini, a blue Maserati, a black Rolls-Royce, and a white Bentley were all lined up trying to get into the parking structure of our apartment complex. It brought back memories of our trip to France. In Spring 2015, we attended the F1 Monaco Grand Prix. That was a surreal experience! Fancy cars, yachts, helicopters, champagne, cigars, Birkins, Chanel, designer clothes, bling.....were everywhere. And yet with all that oozing wealth, it still screamed class. Crowded, but classy. There were still areas were bus loads of tourists - rude and stinky - hovered the streets of Monaco. There was so much wealth that you almost oversee all the chaos going around. That's the tricky part about visiting places during peak season, the elbow-to-elbow-comes-in-bus-loads-of-people crowd. How did we manage? We had to choose, plan, and move wisely. It may be more costly, but you get what you pay for. When I went in 2011, it wasn't peak season. Everywhere was calm and easy to go around. You see more of the locals and a clearer picture of what Monaco looks like on a normal day - like the yacht-lined harbor, glitzy casinos, helicopters, designer boutiques, and fancy restaurants. Just kidding! Peak season or non-peak season, their lifestyle doesn't change; just the quantity of tourists visiting their wealthy independent microstate. We can definitely say that Monaco is very clean, buildings are almost too perfect to be real, and smaller than what you expect -- but absolutely every bit of perfection! We highly recommend that you visit this beautiful place when the famous F1 Grand Prix is NOT going on, unless you absolutely do not mind the mad crowd and road closures. Either way, it will still be a win-win situation. It's Monaco for heaven's sake! More pictures are available in the Galería. Two weeks after Mr. B and I met, I left for France for a month. Since then, we always had conversations that the next time I go back, we are going together. He promised to kiss me under the Eiffel Tower. Fast forward three and a half years, we jet set to Paris! Paris may sound a little cliché to many, but I think it's absolutely worth the visit.....over and over and over. There is more to Paris than the famous Eiffel Tower, Le Louvre, and Arc de Triomphe. There are the beautiful gardens, world renowned Champagne houses, the fresh markets, the food, the shopping, the architecture, and the people. When I say Paris I would like to extend this to Île-de-France, also known as the "Parisian region". This includes the beautiful Versailles and the Champagne country. A visit just in the main city, doesn't give justice to all the other amazing things they have. It saddens me when people plan only 2-3 day visits to Paris. It's like going to a wonderful estate and only looking at the façade and at best taking a peak at the foyer. You would miss the intricate details, unique rooms, pristine gardens, and everything else inside. At our last trip to Paris, it was in April and the beginning of spring. Flowers were starting to bloom. Grasses were dewy from the morning fog. The air was fresh and crisp. Oh, do we love Paris in the spring time! Très belle! Très magnifique! It's like living inside a grandiose painting. We stayed at the Rue Cler area to experience more of a Parisian feel. This is only a couple blocks from the foot of the Eiffel tower. After sun down the tower sparkles every hour. You would think it's romantic enough to be there, experience it at night and you will feel goose bumps from the love and romance in the air! After a full day of exploring, we would make sure to stop by and watch the Eiffel tower sparkle. Kiss the Parisian night a bonne nuit! Take note that in the spring, sundown doesn't happen until after 9 o'clock. You have to wait a little longer to see it sparkle, so it's best to watch it after a nice dinner or if you're feeling extra romantic, pack a delicious picnic and a good bottle of Champagne. Other than the known museums and touristy areas in Paris, we made sure to spend some time at the Château de Versailles. It is only an hour train ride away from the city. I have been to this magical place in the fall but visiting it again in the spring is completely a different experience. Let me tell you, it never gets old! We have visited so many palaces, les châteaux, and palazzos but nothing can compare to the beauty of this place. It's massive and perfect! This is the epitome of the word grandiose. I could go on and on about this place, but there is so much history on this that a short blog would not even justify the beauty this place holds. The Champagne region is an easy day trip from Paris. Mr. B and I adore wine. We were like a couple of kids in the candy store when we visited the Champagne region. Though it is not my first time, I still get excited over which vintage bottles I get to bring home this time. Wine always tastes better when you are sipping it in the vineyard where it has grown. Bottles produced here can legally carry the region's name. During our visit, we saw the chalk cellars and caves - massive rooms deep in the ground that are cool, damp, dark, and dusty. We visited the houses of Veuve Clicquot and Taittinger this time. Both of which produce the world's most renowned bubbles. They have the most colorful histories and have the best vintages to sample. Taittinger is one of the oldest Champagne houses in the world. The estate sits on top of cavernous roman stone quarries, which were once used as the crypt of a 13th century abbey. Today, it is filled with thousands of aging Champagne bottles. We brought home with us the Comtes de Champagne Blanc de Blancs. Taittinger produces only in exceptional vintage years and this wine is composed entirely of Chardonnay grapes grown in the top vineyards of the prestigious Côte des Blancs. Only the first press juice is used. Prior to disgorgement, the Blanc de Blancs is aged for 10 years on the lees in the 13th century chalk cellars. This is a powerful, refined, expressive and complex Champagne, with notes of citrus fruits, lime blossom and caramelized grapefruit. The long, rich ending reveals sweet licorice aromas. The chalk caves of Veuve Clicquot were first excavated during Roman times. Madam Clicquot took over the family Champagne business at a very young age after her husband passed away. She developed the bottles signature gold label and exported her wines to royal courts all over the world. The house of Madam Clicquot invented "riddling", a process still done today that remove sediment and improve wine clarity. During our visit, the house just confirmed that they received a few bottles of the 170 year old Veuve Clicquot Champagne that were recovered by divers in 2010 from a shipwreck at the bottom of the Baltic sea. Each bottle found is worth tens of thousands due to rarity, age, and it's story. The divers were kind enough to give the house a few bottles. 1 bottle was tested in the lab, 1 bottle is in a fully secured cage for everyone to see, and another bottle is buried somewhere in the caves that no one knows but a handful of people. We brought back with us the La Grande Dame and Vintage Rosé 2004. Veuve Clicquot's Prestige Cuvée, La Grande Dame, is a very great wine which pays homage to a very "grande dame de la Champagne," Madame Clicquot. The incomparable finesse of this cuvée results from a blend of eight of the House's traditional Grands Crus. This wine has a fine, complex fragrance, blending sweetness and nobility. It is smooth and silky in the mouth, with considerable substance and structure. A remarkable balance, with a fresh, harmonious finish, and a unique aromatic aftertaste. The Vintage Rosé 2004 offers a deep pink color with the highlights of copper and delicate, light effervescence. The nose, extremely elegant, at first reveals flavors of ripe red fruits that burst on the tongue, before gradually giving way to violets, lilacs and light "pastry" notes. A discreet touch of ground coffee can also be distinguished. The attack is forthright and energetic. This generous wine offers an astonishingly long and subtle finish. It is extremely complex and is distinguished by great freshness. On the palate, strong notes of fruit recall the refined nose. The finish is surprising in is persistence. Even if you are not wine lovers, we still suggest that you at least check it out. They share with you the history of the houses and educate you about Champagne. And the scenery isn't too bad either. It's an exhilarating experience you don't want to miss! My month long trip in 2011 gave me a chance to explore more regions in addition to where Mr. B and I went together. We think that driving around France is the best way to explore. Taking the train may be more convenient, but you see more areas when you are at your own pace and your own time. France is definitely an easy place to repeatedly visit. There will always be something new to check out and even go back to. People always ask us how we travel, if we go on group tours or pre-set itineraries type of traveling. We plan our trips on our own. We do a lot of reading and researching prior to visiting a place. And I am emphasizing, A LOT. It's a lot of work, but definitely worth it. Every time we travel, we always keep in mind that we will come back to the place we are currently visiting. And for the most part, we have. Thus, we don't feel the pressure to see, sniff, eat, and digest everything at that one visit. We know that we have the rest of our lives together to see the world hopefully not just once but at least twice. We keep tabs of our favorite cities and plan to re-visit in a different season. And the cities that we might not be fond of, we will check out at a much later time. The places we’ve been may not seem a lot to the most, it’s because we take our time to explore and immerse in the culture. When we travel, we try to not hop from one city to the next too fast. We enjoy staying, taking our time, and appreciate the place that we’re at. We apply this habit with pretty much everything that we do. We always believe in quality before quantity. And when given more opportunity, we aim for abundance of quality. We are very excited to share all our current and future travels but from time to time, you may see some flashbacks of our trips together in the past. We badly wanted to create this website sooner, but our life has been a whirlwind. C’est la vie! We are like most couples. It’s a struggle to balance everyday life. We have professions that currently restrict us from traveling all the time, but we try to not focus on that. We do the best we can. If our schedule doesn't permit and we are itching to go somewhere new; we often indulge in homemade food - most of them inspired from all of our travels. Mr. B and I love to cook as much as we love to eat. It is absolutely one of the things we love to do together. Sometimes, our date night involves cooking together, sharing a bottle of wine, and Frank Sinatra singing to his tune of Come Fly with Me. To celebrate the Year of the Monkey, we made Mr. B’s favorite – chocolate chip banana-yee bread. He loves anything banana flavored: to candies, desserts, pies, cakes, and bread. We only use the freshest and best ingredients not to be foofy, but we believe in quality eating. And it’s good for us. He calls it “banana-yee” because we use a lot of bananas on this recipe compared to others. The more bananas we put, the sweeter it tastes without adding extra sugar into it. On the other hand, I am a sucker for chocolate. Every time we make this, I try my best not to dump another cup of chocolate into the mix. So, we compromise. More banana, less added sugar. We try to keep our food and lifestyle healthy as much as we can, yet making sure that we don’t miss out on other yummy food that feeds our soul. This year will be stamped as a year of amazing changes and wonderful memories. We are both excited to face all that’s coming ahead of us, together. And we are ecstatic to share with you, our La Dolce Vita!